Taylor of Old Bond Street Faux Shell Comb. 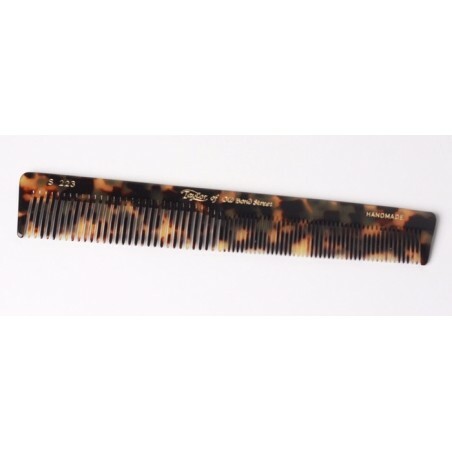 The most important feature of any comb is that it is made of a material which does not strip the hair. In hand made or hand finished combs the teeth are sawn, producing the most effective grooming implement. Hand made Faux Shell Combs presented in a Suedette sleeve making it ideal as a gift.